Limited Variant Comics Lot. 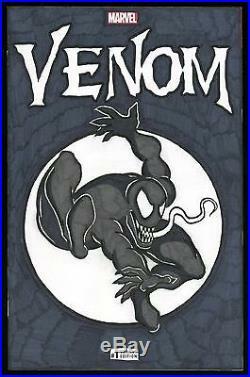 Featuring – Awesome Venom Sketch cover art by Todd McFarlane! Devin Lewis, Allison Stock, & Axel Alonso. Variant Sketch Cover #1 by. Venom, or the Venom Symbiote, is a character appearing in comic books published by Marvel Comics, commonly in association with Spider-Man. 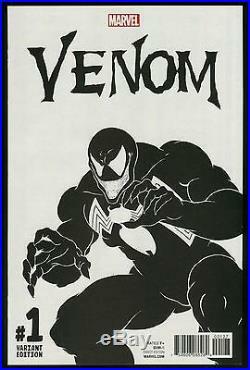 Venom made his first appearance in The Amazing Spider-Man #300 (May 1988). Venom was originally conceived as a supervillain, but has since become more of an antihero. Venom is a Symbiote, a sentient alien, with a gooey, almost liquid-like form. As with real-world symbiotes, it requires a host, usually human, to bond with for its survival. After bonding, the Symbiote endows its enhanced powers upon the host. When the Venom Symbiote bonds with a human, that new dual-life form refers to itself as “Venom”. The Venom Symbiote’s first known host was Spider-Man, who eventually separated himself from the creature when he discovered its true nature. The Symbiote went on to merge with other hosts, most notably Eddie Brock, its second and most infamous host, with whom it first became Venom and one of Spider-Man’s archenemies. It is considered one of the greatest threats to humanity, alongside Magneto, Doctor Doom, and Red Skull. Venom is widely considered one of the Greatest Comic Book Villains of All Time! Now, Marvel Comics Presents, Venom! No more’Agent of the Cosmos. No more’Lethal Protector. It’s time for a new Venom, and it’s great to be bad. Venom was doing so well as a cosmic hero but now he’s back on Earth in the gutter. After working as a Guardian of the Galaxy and a Space Knight, all of the Venom symbiote’s good deeds have left it abandoned, starving and alone Bonded to a new host – far crueler than Flash Thompson ever was – the symbiote finds itself returning to its old ways. Get ready to sink your teeth into the deadliest Venom story. Who has taken possession of the symbiote and turned him back into the slathering, fanged monster? Includes 2 copies of Venom # 1 (2017 3rd Series). Venom (2016 Marvel) #1G – Limited Edition Sketch Variant Cover by Todd McFarlane. 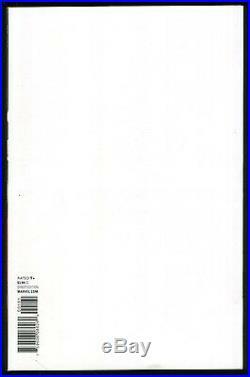 Venom (2016 Marvel) #1F – Blank Sketch Cover by Brad Harris, an. Nddzu featuring a rare one-of-a-kind original VENOM illustration paying homage to Amazing Spider-Man (1963 1st Series) #300 and it’s cover artist, the great Todd Mcfarlane! Check out Brad Harris, an. Nddzu other original art… FC, 32 pages, Comic, 10.25″ x 6.65″. Collectible Entertainment note: Comics are in Very Fine condition. 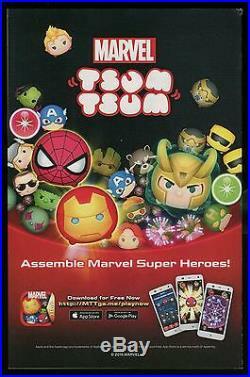 A must have for any serious Venom or Spider-Man or Todd McFarlane collector / enthusiast. A fun & entertaining read! Please check out all my other Todd McFarlane or Venom or Spider-Man or Carnage or Darth Maul or Star Wars or Movie Adaptations or Jurassic Park or Dinosaurs Attack or Mars Attacks or Planet of the Apes or Godzilla or Starship Troopers or Thing or Robocop or Aliens or Predator or Terminator listings by visiting my store and typing McFarlane or Venom or Spider-Man or Darth Maul or Star Wars or Movie or Jurassic Park or Dinosaurs Attack or Mars Attacks or Planet of the Apes or Godzilla or Starship Troopers or Thing or Robocop or Aliens or Predator or Terminator in the store search engine. Track Page Views With. Auctiva’s FREE Counter. 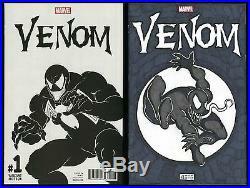 The item “Venom 1 Todd McFarlane Sketch Variant Cover art Comic + bonus Original Venom art” is in sale since Friday, March 2, 2018. This item is in the category “Collectibles\Comics\Modern Age (1992-Now)\Other Modern Age Comics”. 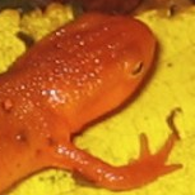 The seller is “collectible_entertainment” and is located in Palm Bay, Florida. This item can be shipped worldwide.